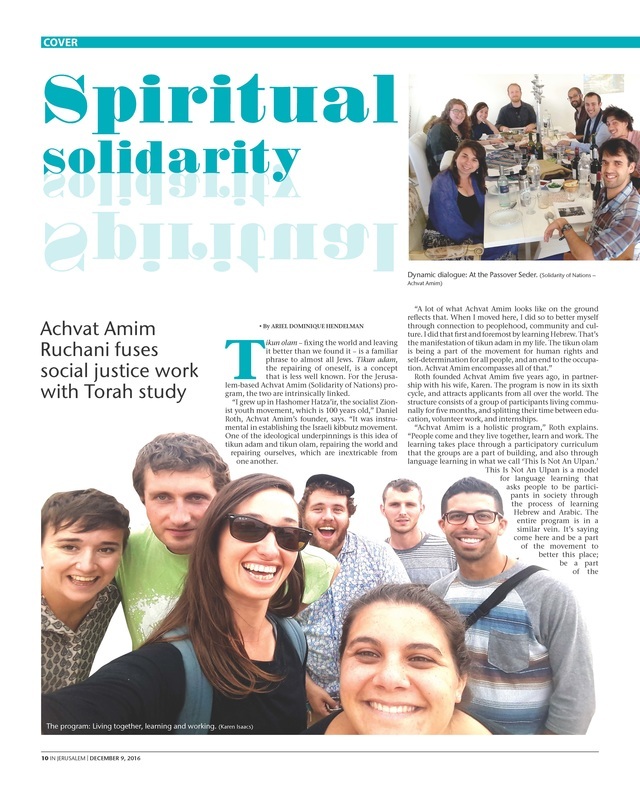 Celebrating Five Years of Achvat Amim! 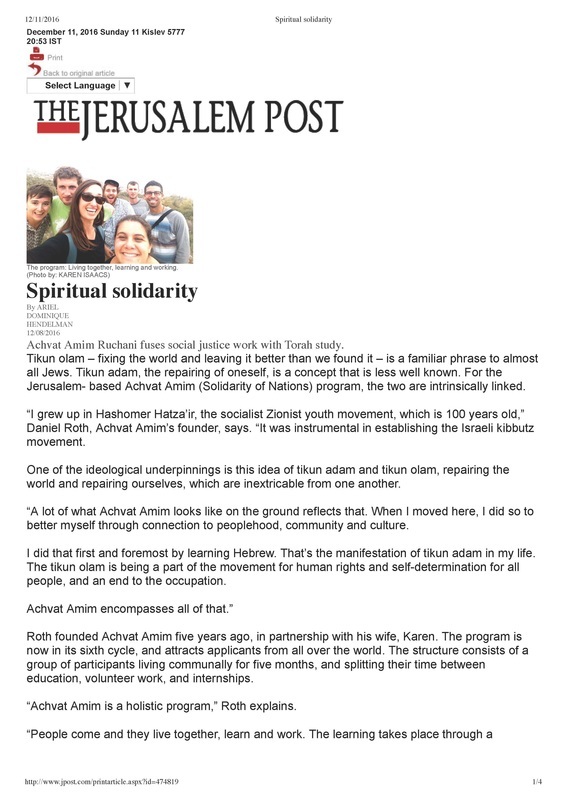 On January 10th, 2014 the first cohort of Achvat Amim kicked off this journey. 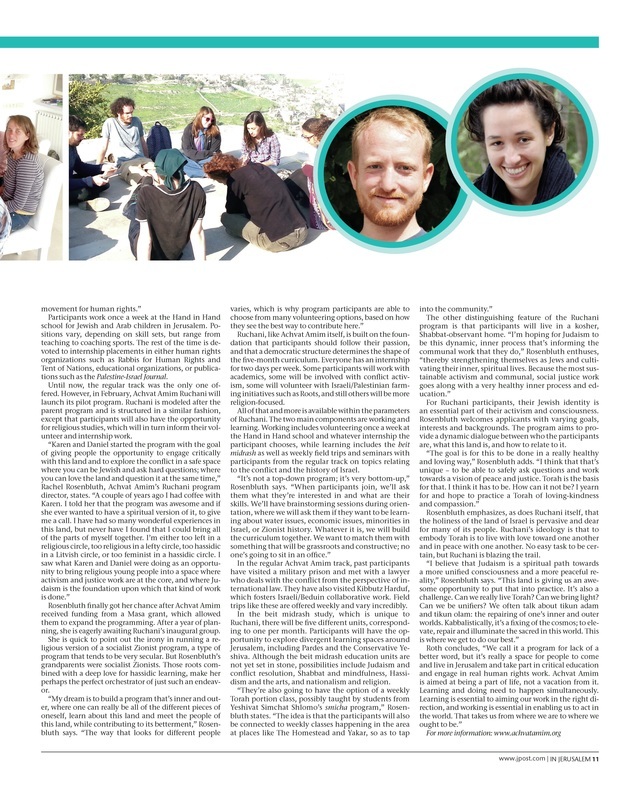 On January 10th, 2019 we celebrated five years and ten cohorts of movement building through critical education, communal living and human rights work in and around Jerusalem! Check out some of the highlights from the evenings program including blessings for another five years of movement growth and beautiful songs! 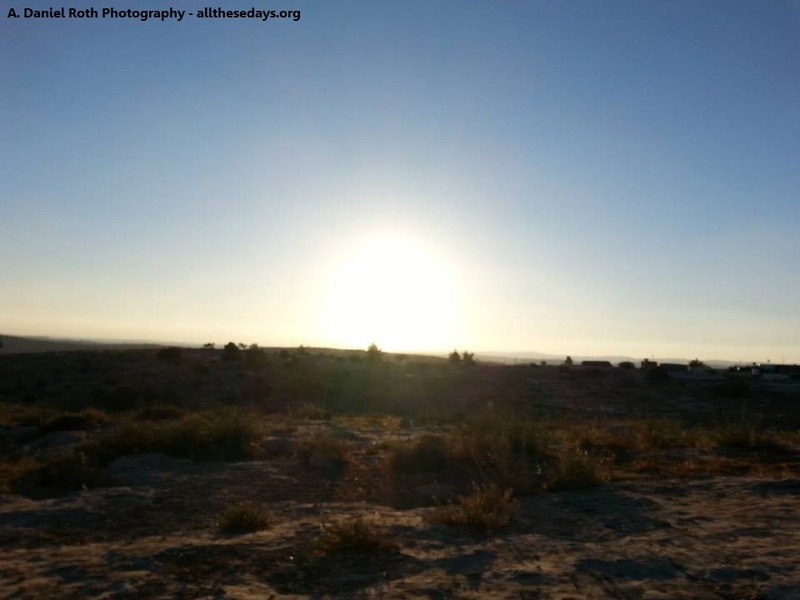 And finally, a slideshow with photos from these five years of Achvat Amim! Welcome to the new cohort! Already in the full swing of orientation! 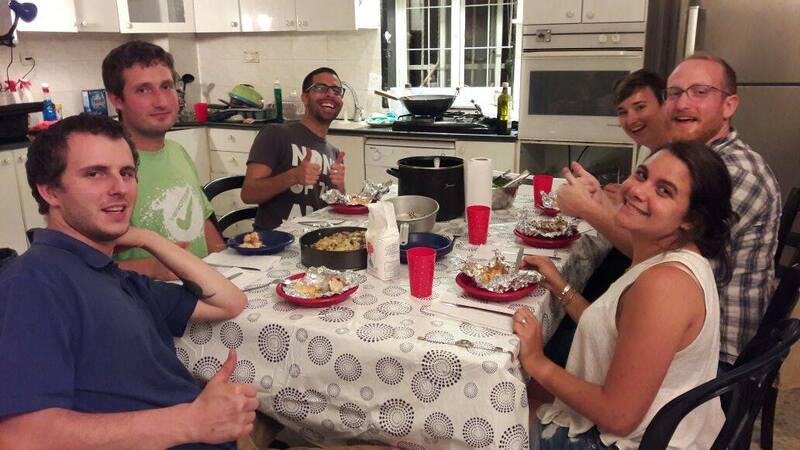 Having fun, learning tons, getting cracking on the work, eating well, and getting ready for the road ahead! This coming year (Spring 2017), we are launching Achvat Amim: Ruchani, a Religious/Spiritual track. 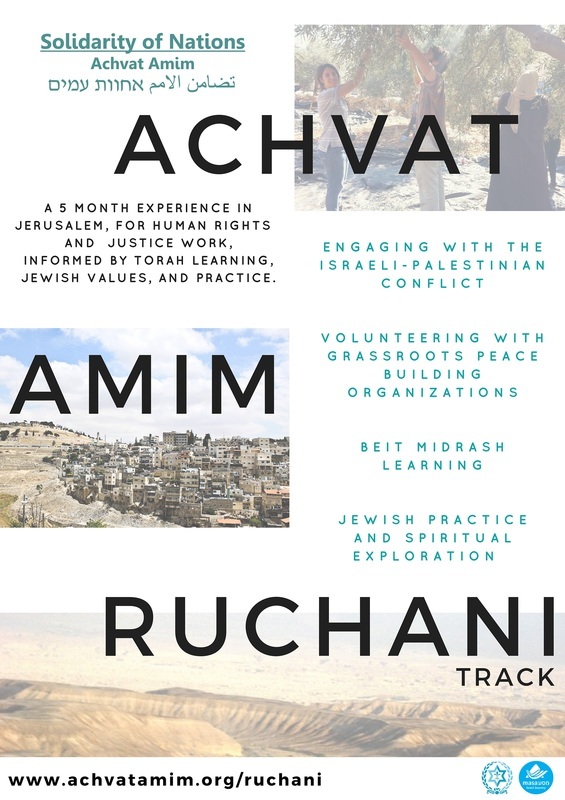 In addition to the core Achvat Amim program of volunteering and learning, this track provides an opportunity for halachically rooted Jewish living and spiritual practice, as well as rigorous and reflective Jewish learning, as a foundation upon which to engage with issues of the conflict, justice work and human rights. 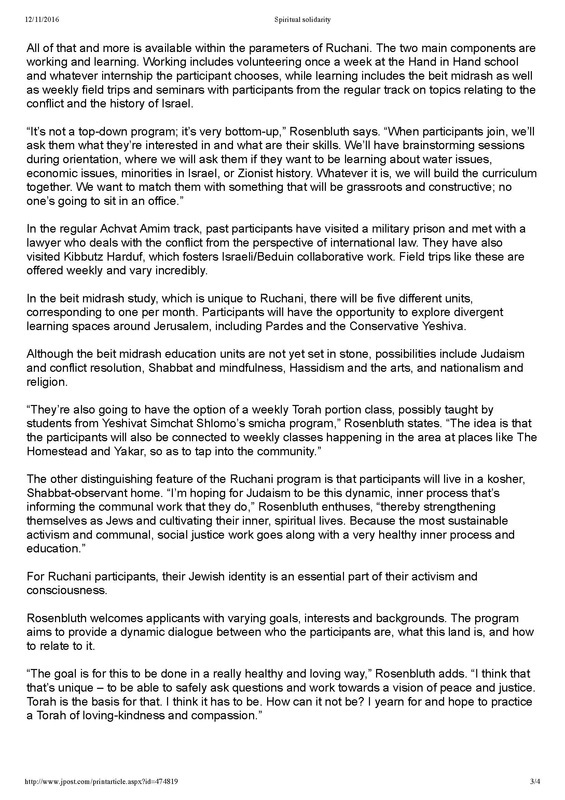 Video interview about Achvat Amim in Dutch! 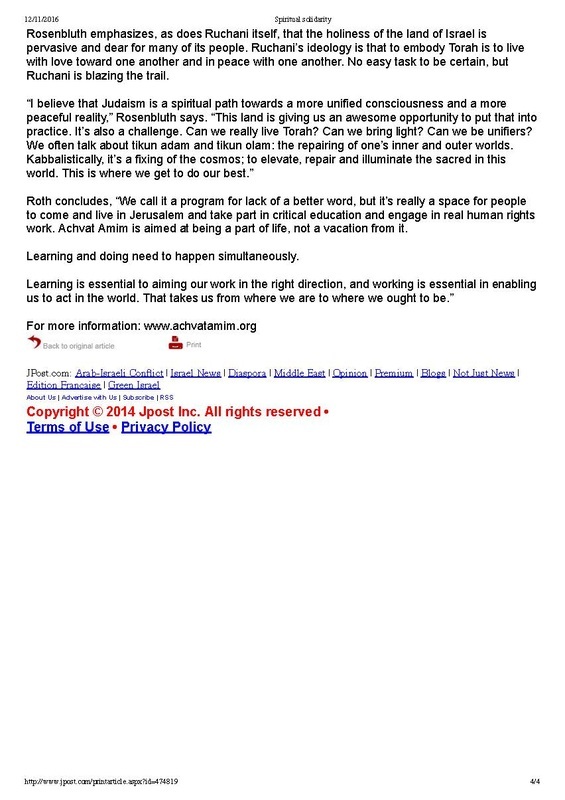 Sophie, Achvat Amim participant (Sept. 2015 - Feb. 2016) from the Netherlands, tells us about the program in Dutch!